The cook-off has several different categories. The Best Gumbo competition has divisions for backyard chefs, professionals and students. There’s also recognition for the team with the most spirit and best cook site décor and theme. Episcopal teams vie for the title of Most Divine Gumbo. Photos courtesy of Episcopal Place. Home cooks and professional chefs will stir the pots at a heated competition April 21. More than 40 cooking teams will compete at Gumbo Gala, Episcopal Place’s annual fundraiser. 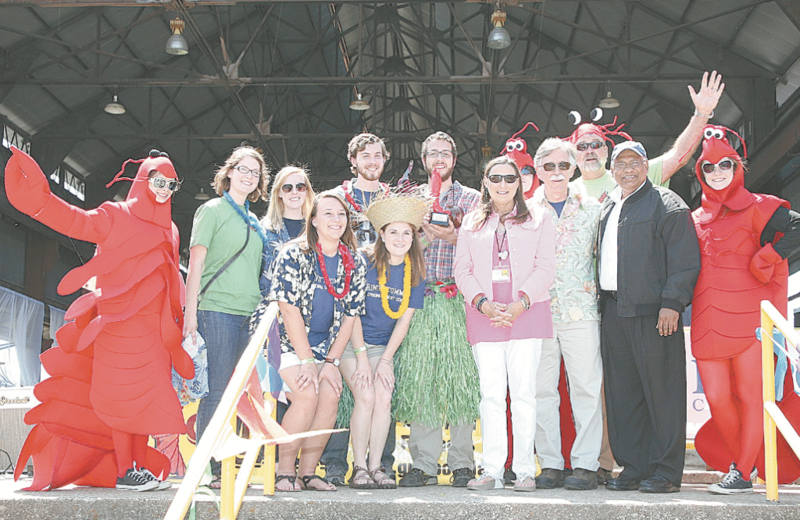 The 13th annual edition of the event is from 11 a.m. to 2 p.m. at Sloss Furnaces in Birmingham. Those who attend can gobble up gumbo samples, listen to music from Margaux and the Cat’s Meow, and take part in a traditional New Orleans-style Second Line parade, complete with flowered umbrellas. The cook-off has several different categories. The Best Gumbo competition has divisions for backyard chefs, professionals and students. Guests at the event vote for the People’s Choice awards. Judges choose the winners in the Chef’s Choice awards for best seafood gumbo, best chicken and sausage gumbo, and best specialty gumbo. There’s also recognition for the team with the most spirit and best cook site décor and theme. Episcopal teams vie for the title of Most Divine Gumbo. Some winners get cash prizes, others receive trophies – and all earn gumbo-making bragging rights. Among the professionals who will compete this year is Monty Todd. He’s the executive chef at Spoon & Ladle, a Birmingham company that sells small-batch craft soups and other foods to restaurants and grocery stores. “Being in the soup business, I try to be involved in any kind of competition,” Todd said. 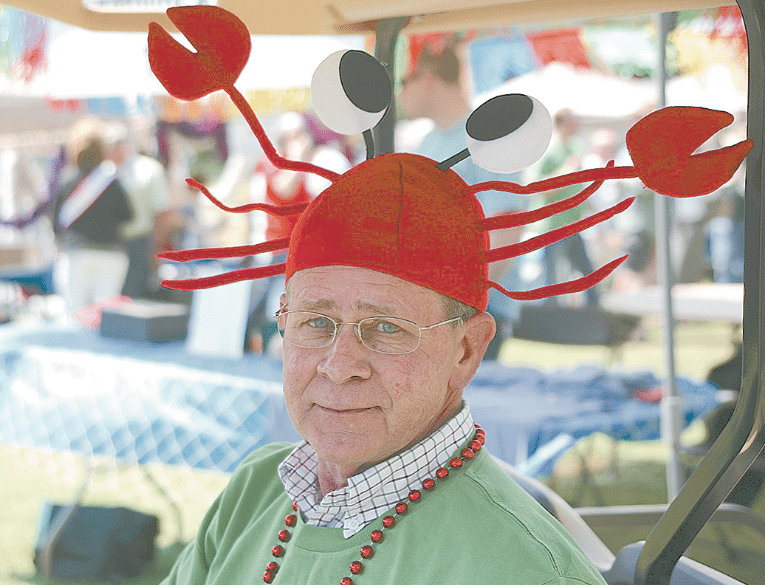 He said he especially likes participating in Gumbo Gala because it supports Episcopal Place, a nonprofit organization in Birmingham’s Highland Park that provides affordable independent living to low-income seniors and to adults with disabilities. When he first started Spoon & Ladle, he delivered his soups to homes and offices, and Episcopal Place residents were among his customers. He said he was so proud of the win that he put stickers on his containers of chicken and sausage gumbo touting it as an award winner. He wanted his shrimp and crab gumbo to earn a label, too, so that’s what he made for Gumbo Gala in 2016. “We won the Chef’s Choice award that year,” he said. For this year’s event, he’s considering another flavor: his duck and chicken gumbo, which was a winner at the Greater Birmingham LSU Alumni Association’s 2017 Taste of Louisiana cook-off. “We don’t sell this gumbo retail, but I want to do something different,” Todd said. He said most of his cooking will be done at the gala. Kimberly Kirklin, an Episcopal Place board member, will be part of a backyard team called Disco Gumbo. Her teammates are her husband, Stephen Mangina, and their friends Lilla Hood Smith and Chris Smith. All are residents of Vestavia Hills. Kirklin is director of programming for the UAB Institute of Arts in Medicine, a program that encourages healing through the arts. She compet- ed last year with a team that included young people from the program. She said her team’s recipe likely will start with a basic gumbo – but with a little flair mixed in. The fundraiser also will have a kids’ zone, an Art and Artisans vendors show, and cold beverages for sale. And if you want more gumbo, you can get some to go.